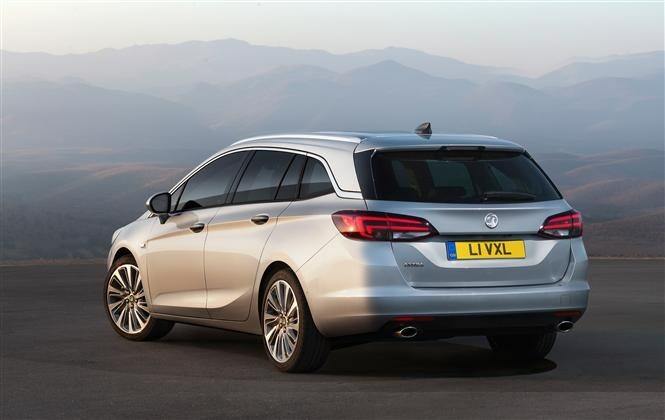 Hot on the heels of the new Vauxhall Astra hatchback, the next generation of Sports Tourer estate will hit showrooms next year. Just like the hatchback, the new estate has been put on a diet and boasts more interior space than before, despite sharing the old car’s exterior dimensions. Petrol and engines offer between 99bhp and 197bhp, while new technology including OnStar, Apple CarPlay and Android Auto also feature. A sloping roofline and sharp rear window disguises the boxy practicality of the new Sports Tourer. It misses the floating roof design of the hatchback, opting instead of a band of chrome which divides the C-pillar. Despite sharing its dimensions with the old one, the new car offers more space inside for passengers and luggage. From the driving seat there is an additional 26mm of headroom, while in the rear there is 28mm more, and the boot has grown to 1,630 litres. It’s easier to get into too thanks to a new tailgate that can be opened by waving your foot underneath the bumper (or by a button in the car and on the key). The rear seats fold 40/20/40 to enable an even more flexible load space, while the FlexOrganiser product range adds side rails, dividing nets and other gadgets to help tie things down. Powertrains range from 99bhp to 197bhp, and including the a new 1.4-litre, 148bhp ECOTEC Direct Injection Turbo, and the recently-launched 1.6-litre CDTi Whisper Diesel. A 197bhp 1.6-litre ECOTEC petrol should satisfy those looking for extra performance. The Sports Tourer is also up to 200kg lighter than its predecessor, thanks to new vehicle architecture and weight saving measures including the use of high-strength and ultra-high-strength low-weight steel. 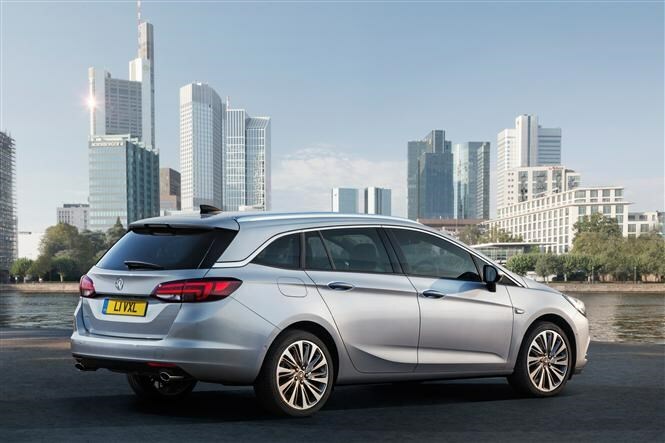 As well as the OnStar connected service, the new Sports Tourer will be available with Apple CarPlay and Android Auto, enabling you to pair your smartphone to the car’s IntelliLink infotainment system. OnStar meanwhile uses a high-speed 4G mobile signal and can be used for anything from programming the sat nav to contacting emergency services in the event of a crash. 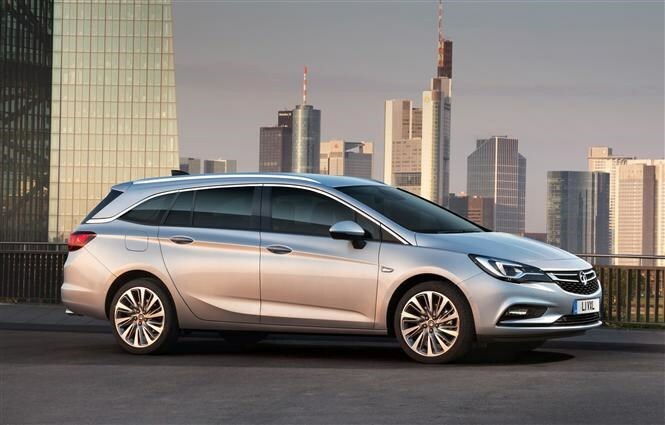 We will be one of the first to drive the new Vauxhall Astra Sports Tourer before it arrives in dealerships early next year, so make sure you keep checking back with us for our full review. 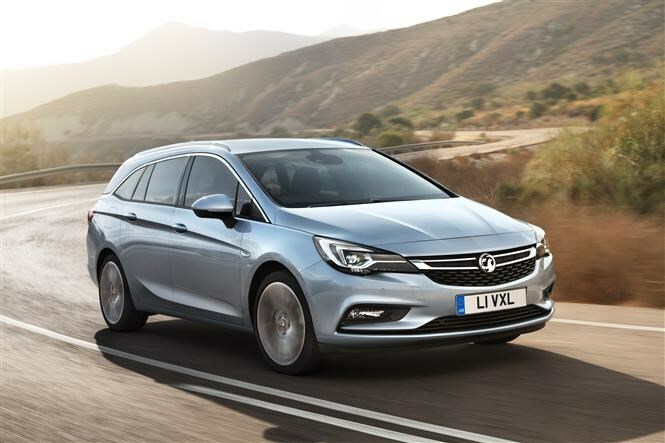 Click here to read our full review of the current Vauxhall Astra Sports Tourer.